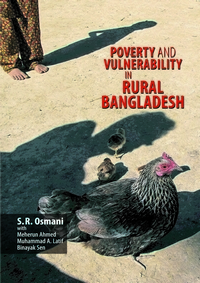 This book provides an analysis of some of the key experiences and issues in the multidimensional process of development of Bangladesh. 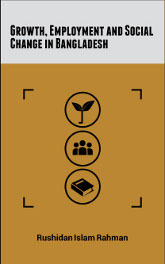 The three parts of the book: (i) economic growth: aggregate and sectoral; (ii) unemployment, underemployment, and labour market; and (iii) poverty, empowerment, and social change cover a wide range of themes. Within economic growth, the focus is on both aggregate GDP growth and the features of sectoral growth (especially manufacturing and agriculture). In the realm of social change, unemployment, underemployment and its various dimensions receive detailed attention because of the author’s specialization on the subject and also due to the importance of the topic for both social change and the future growth of the economy. The chapters on poverty, education, women’s empowerment, microfinance, and population dynamics actually cover the less-told-stories without covering the issues which have already been widely discussed in the past. The analysis highlights significant progress in different dimensions of development and also focuses on the constraints and challenges which need to be addressed to sustain and accelerate the progress. The readers of this book are likely to come from diverse backgrounds and therefore the analyses have been presented in non-technical ways as far as possible. It can be useful for students, academicians and policy makers as well as for the readers with general interest in related subjects.